Football is back, and the return of our de facto national pastime brings the rekindling of our collective love affair with finger foods. Nowhere was that more evident than at The Point this past Sunday. The rainbow of football jerseys indicated a United Nations of NFL fanhood—together, we could’ve solved the concussion crisis and incidentally worked out a new collective bargaining agreement. Instead, we yelled and stuffed our faces. The best of the finger foods was lumpia: crunchy Filipino egg rolls stuffed with pork, water chestnuts, carrots, soy and green onion with a side of sweet, goopy sauce. The thin sheath of crispy pastry on the outside was an ideal vessel—though seemingly constricting, the flavor of the filling was robust, balanced and warm. The side salad deceived too, as the mandarin orange and punchy ginger dressing belied the salad’s appearance as a garnish. 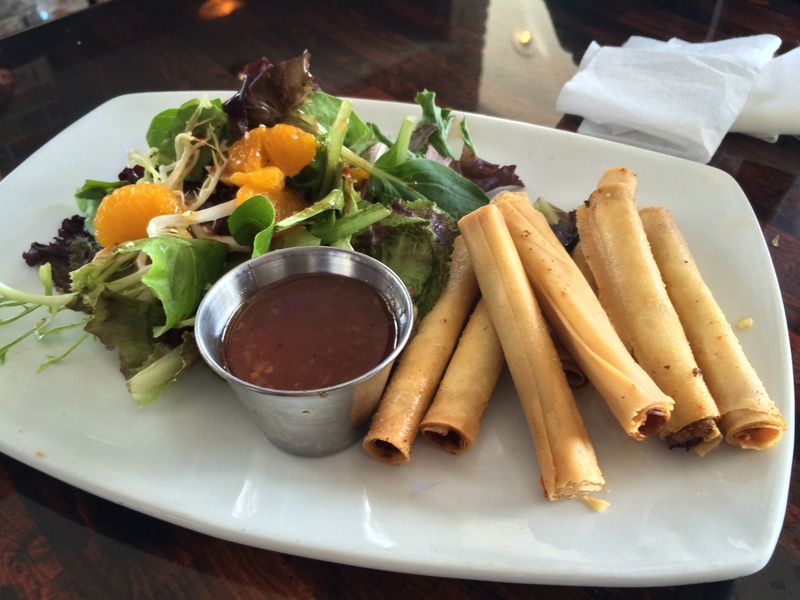 In short, the lumpia plate was more than finger food—it was the kind of dish that makes you wonder why there aren’t Filipino restaurants in every town.